Vocation, the way I was seeking it, becomes an act of will, a grim determination that one’s life will do this way or that whether it wants to or not. If the self is sin-ridden and will bow to truth and goodness only under duress, that approach to vocation makes sense. But if the self seeks not pathology but wholeness, as I believe it does, then the willful pursuit of vocation is an act of violence toward ourselves –violence in the name of a vision that, however lofty, is forced on the self from without rather than grown from within. True self, when violated, will always resist us, sometimes at great cost, holding or lives in check until we honor its truth. I read this and found myself thinking how utterly opposed Palmer’s view is to the classical Protestant view. I also found myself wondering how Palmer reads the New Testament. You must be born again. Take up your cross and deny yourself. It is no longer I who live but Christ who lives in me. He emptied himself. Suffering produces endurance. And so on. Jesus and the apostles seemed to suggest quite a bit that salvation is not found in cultivating what is in us but in conformity to something outside ourselves. (Isn’t this the old Pelagian debate in new garb?) The disciples often seemed resistant to what Jesus had to say, and he did not sympathize with them on those counts. The Old Testament prophets give us even stronger examples of God not seeming to care a whole lot what people claim grows out of their true selves. As I read Palmer, I wonder how much his words reflect the antinomian Christians who John Wesley spent so much energy opposing. Wesley’s foes taught that people should not do any works if their heart was not in it. Wesley countered that people should do those works especially when their heart was not in it, as God grace would use those works to cleanse and transform their heart. Wesley had no doubt the will would resist such works, but he did not see that as a sign of a “violated” self being the victim of oppression. He would say it was the breaking of a proud and rebellious self that would keep the sinner from receiving the great gift of salvation. And, of course, part of the dialogue Wesley would have with Palmer would be over Palmer’s description of the Christian response to a sin-ridden soul. The answer is not to exert the will and bend the recalcitrant will to some arbitrary outside standard. That will eventually fail, Wesley would point out. Our strength is limited, and the chains we bear are heavy. No, the answer is not effort but humility and repentance. It is to turn to the one who is stronger than we are, who can break those chains. I’m not sure Wesley’s old debates map directly on to the spiritual teaching of Palmer, but reading Palmer’s book today, after becoming somewhat familiar with Wesley, is much different than when I first picked up that book eight years ago. Posted on October 18, 2012 October 19, 2012 by John MeunierPosted in Christian life, MethodismTagged john wesley, Parker Palmer. Could the self seeking wholeness be an indicator of sanctification? Is it possible Palmer and Wesley are each correct but from different angles? It is, of course, possible. I’d have to be persuaded that the two visions are not contradictory, though. Richard Lischer describes vocation as something that asks you to die to live it out. If he is right – and I think he is – then Palmer is profoundly wrong. I haven’t thought this through, but an old thought comes to mind..the difference between vocation and avocation. A wise man once said that if your vocation is your avocation, you are indeed a lucky person. The vocation being what we do to live, and the avocation what we live to do. My experience bears out your view and casts serious doubt on what Parker Palmer has stated. About 11 years ago, I was very clearly called to a local church ministry (avocation in the sense that it is unpaid) that, to my mind, I was totally unsuited for by training, temperament, interest, and experience. After some argument with God, I answered the call. It has been one of the best decisions that I ever made. God so changed my heart that, when church politics kept me out of the ministry for a couple of months, I was almost physically ill. The ministry has been a marvelous blessing to me and, I pray, to those whom I serve. I believe that I understand how Paul felt when he said “Woe to me if I do not preach the gospel.” The ministry that I was called to is not preaching, but it is a compelling part of my life. It is a blessing that God has given me that I would never have sought on my own or even considered doing if anyone but God had asked me. Some of your comments make me think you are reading “true self” in a different way than Palmer intends. “True self” is a term used frequently in contemplative literature. One representative example I pulled from the Merton Institute’s website: “The true self being that part of us that is God-centered and driven by love versus the false self which is ego centered and driven by narcissism.” So, when Palmer talks about this “act of will”, it is an act of ego and narcissism that drives one away from God. We will find vocation as we are more centered on God. To me, this seems a very similar message as the “Covenant Prayer in the Wesleyan Tradition”? This was part of my thought as well in suggesting the two may be close but from different angles. Not all resistance that arises is rebellion or a sign of sin, but may also be something asking us to listen more deeply before proceeding on the current path. The distinction reminds me of the Jewish concept of the of the dual nature of humanity with a yetzer tov and a yetzer ha. The only problem with this formulation for Wesleyan theology is that Wesleyan theology is grounded on Reformation doctrines of total depravity. Wesley’s grace theology is unintelligible without it. Thomas Merton and Parker Palmer, of course, are free to reject the doctrine of total depravity. I just don’t think you can square Wesleyan theology with any theology that does. That may be a reason for some people to dismiss Wesley. I am merely trying to understand him. I suppose I would not characterize the Wesleys’ doctrine of human depravity as “Reformed.” Especially not if Reformed means Calvinist. I’d really see them more in line with mainstream Anglican views, which might be closer to Thomist than Augustinian, and which, in their case, come with a good dose of Orthodoxy (via Macarius and others) in the mix. But this is the justified. Those under preventing grace (all of us) have natural conscience, so perhaps there is room there for a voice within drawing us to the good. I just hear — maybe not strongly in the quote above — a tendency toward antinomianism in Palmer, who is a Quaker. I also am unsettled, frankly, by the notion that the guy in my congregation who works at a scrap metal facility because that is the only job he could get is somehow doing violence to his true self. I see Palmer saying persons should not pursue a calling that is not theirs. That’s all. This isn’t talking about jobs per se, but more about direction. 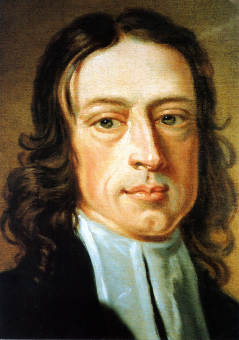 John Wesley for instance was a terrible parish priest. It is good he realized this and pursued a different path. Insightful and helpful perspective John.